I’ve been conducting training programs for a long time. I recently worked with a client whose focus on staff safety impressed me. Before my workshop began a complete set of instructions for the participants was issued around fire safety, escape routes and the location of portable defibrillators. 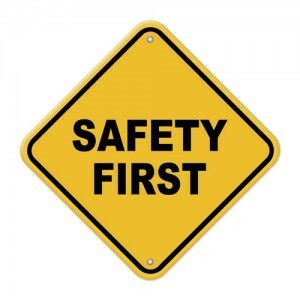 When companies walk the safety talk they have in effect created a safety culture which every employee lives and breathes. But, what if there were an emergency at a trade show. Would these same employees know what to do and where to go for help? Emergencies at an exhibition are rare. Fire emergencies are even rarer. Rules and regulations around emergencies are often included in the basic information show management sends out to exhibitors. These rules are often buried in the manual of information exhibitors need but rarely read. Attendees are even less fortunate. Escape routes are often posted on the back of a hotel room door and there is a warning about the use of elevators during an emergency but that’s it. Since no two trade shows and their venues are alike the beginning point is to create a checklist of the issues that are important to your organization and open a dialogue with your show manager. These issues will come from many sources: your corporate health and safety policies and procedures, those dictated through such documents as insurance coverage and those based on past experience. The next step is in creating your checklist is to look at four areas of concern: The exhibit, the venue, accommodation, your personnel and your contractors. Although there are some items that are common to all exhibitors there are also issues that are of particular importance to certain corporations. Let’s look at each. The venue – These includes such items as move-in and move out arrangements, waste removal, handling of toxic materials, availability of fresh water, hall lighting, fire routes, location of emergency equipment and security. Accommodation and hospitality– These includes such things as escape routes, use of elevators, location and availability of medical assistance and allergy free and smoke free environments. Your personnel – These includes such things as travel documents (passports and VISA’s), international and local transportation arrangements, special medical needs, local laws and location of embassies and consulates. The personnel of your contractors – Includes much of the same list as your personnel. It is important that your contractors are aware of the importance your corporation places on health and safety. The next issue is to communicate these issues to all those responsible for your exhibition program. Sending memos is certainly important but so is ensuring that all those who are affected have read and understood the importance your organization places on health and safety. This involves leaving nothing to chance. A proactive program of personal communication to all those affected is crucial. These people should be identified early and their names included on your check-list. Assign managers to contact each person and gain a commitment that each of these people understands and will comply with your wishes. Part of your staff’s pre-show briefing should also include a review of the health and safety initiatives you have in place and allow your personnel an opportunity to clarify any concerns they may still have. Achieving great results at a trade show also includes the health and safety of all. Making sure everyone is doing their part is an important part of doing it right.